Want to invest in bitcoin but don’t want to trust the security of your coins to a third party? You need to set up your own personal bitcoin vault! Follow the steps in this guide to get started. If you need one-on-one assistance with the process, I am available for private consulting. Hardware wallets are devices that keep your bitcoin private keys permanently offline. Private keys are the files that are needed to sign bitcoin transactions and authorize transfers to other bitcoin addresses. If your private keys are stored on a computer that is “online” – that is, connected to the internet – then there is a risk that the private keys could be compromised by a remote hacker via malware that you unintentionally installed on your computer. By storing private keys permanently offline, hardware wallets limit your risk to physical security threats. This means that a thief would have to have physical access to the hardware wallet in order to even have a chance at stealing your bitcoin. As we will see later in this guide, even physical access will not be enough for a thief to steal your bitcoin if it is properly stored in a hardware wallet. 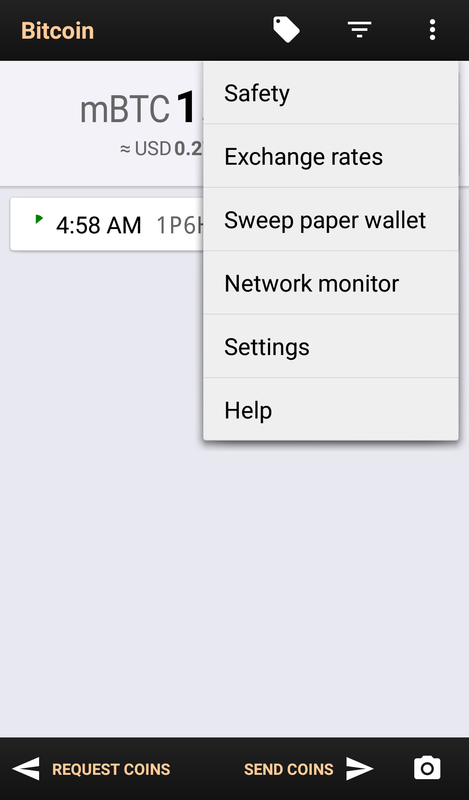 After you have received your hardware wallet, you will need to set it up. Steps vary depending on which hardware wallet you have purchased; step-by-step instructions are included with each device. Generally, these steps will include downloading the local app that is used to manage your hardware wallet, writing down your hardware wallet’s backup phrase, and adding a PIN to protect against thieves who gain physical access to your hardware wallet. 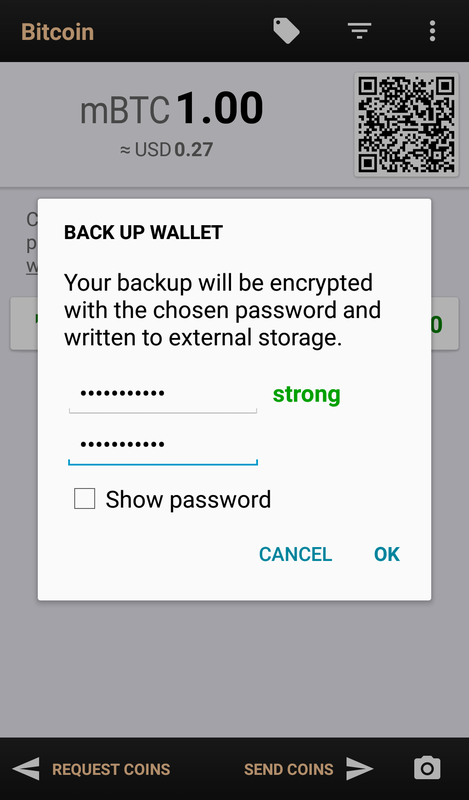 The backup phrase that is generated when you first setup the wallet is essential to protect in case anything happens to the hardware wallet itself, such as loss, theft, or breakage. 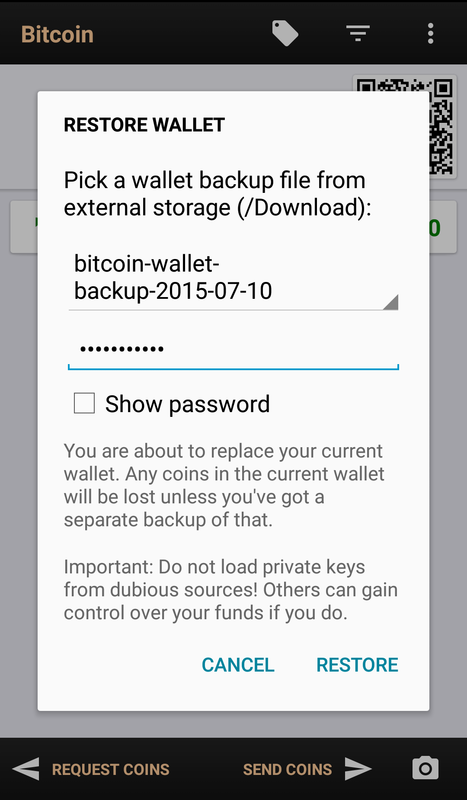 This backup phrase will consist of 12 or 24 words that you’ll need to recover your wallet if anything happens to it. The easiest way to protect this backup phrase is to write it down. But then you have to think about how to protect this written copy – if anyone gains access to it, they’ll be able to recover your wallet just as easily as you could and move your bitcoin to their own address. So you need to treat your backup phrase just as sensitively as you would physical cash, jewelry, precious metals, social security cards, and other valuables. You could write down all 24 words in one place and put them in a safe with other valuables. You could write 12 of the words down on one piece of paper and keep it in your safe, and write the other 12 words down on another piece of paper and store that piece of paper in a separate location, such as a safety deposit box. Then, you (and any prospective thieves) will need access to both pieces of paper in both separate locations in order to recover the wallet. In addition to storing 12 of the words in one location and the other 12 words in another location, you could also send one copy of one of the sets of 12 words to one trusted associate and one copy of the other set of 12 words to another trusted associate. These trusted associates could be, for example, a family member and a lawyer. Then, if anything happens to either or both of your own copies of either set of 12 words, you can ask your trusted associates to send you the copies you shared with them. Additionally, if anything happens to you, and your own copies become irrecoverable, you can leave instructions with your lawyer for both of the trusted associates to combine their copies of the words to recover your wallet and execute your will. If you are storing a lot of value in your hardware wallet, you may consider using a tool like Cryptosteel to ensure that each copy of your backup phrase is protected against fires, floods, and electrical storms. Choose a service to purchase bitcoin and complete any steps that may be required to initiate your purchase (such as ID verification and adding two-step authentication – you want to make sure you add two-step authentication to all services that offer this). 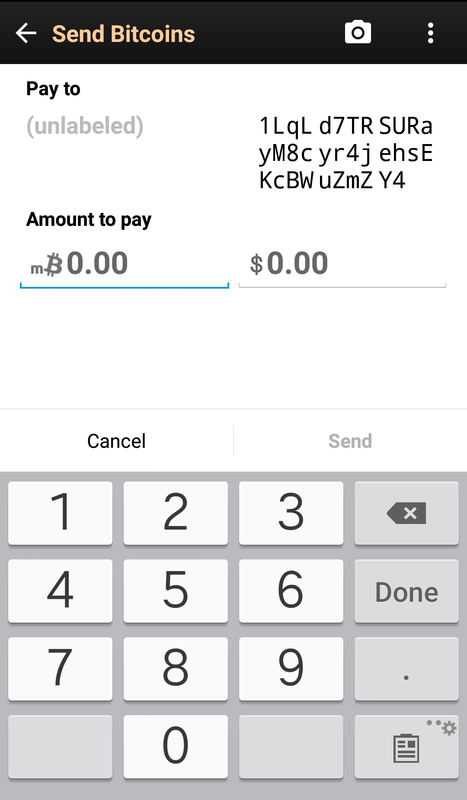 Use the local app that is required to manage your hardware wallet to create a new bitcoin address. 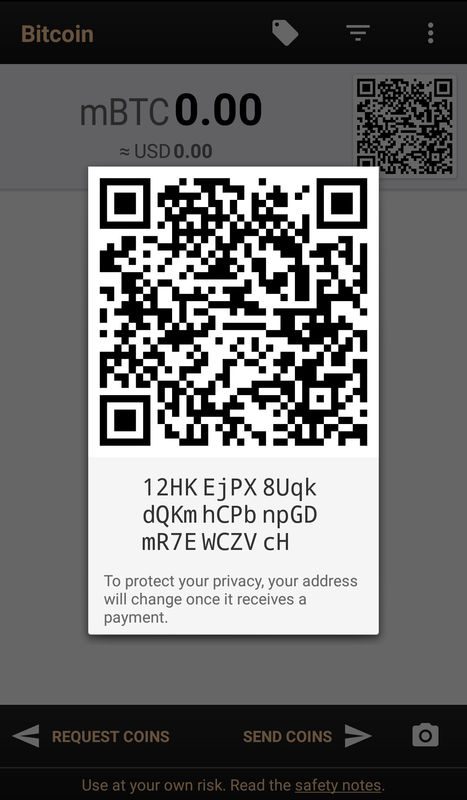 When you are ready to transfer your bitcoin to your hardware wallet, copy+paste the address you generated with your wallet’s local app into the withdrawal window of the service you bought bitcoin from. 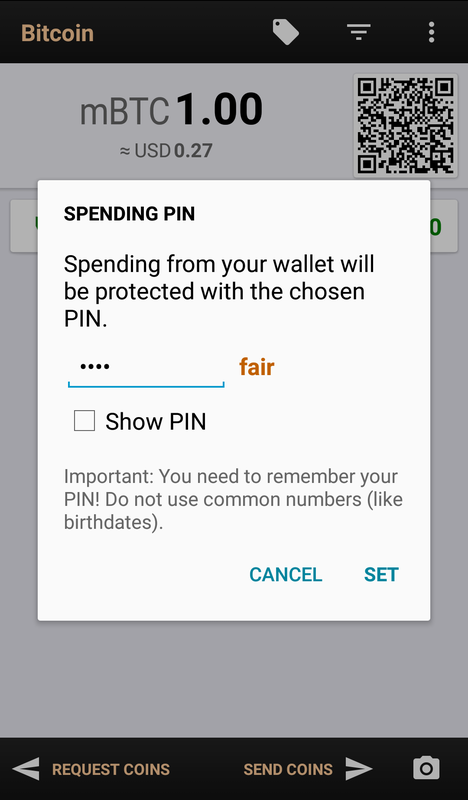 Double-check that the address you pasted matches the address generated by your hardware wallet, then withdraw the funds. 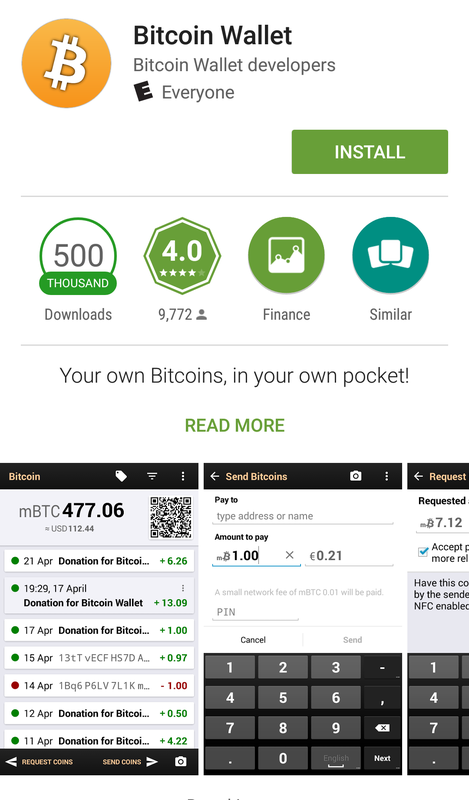 Within a few seconds to a few minutes, you should see the bitcoin appear in your local app. Gemini – allows you to purchase bitcoin with a bank account in the US. Suitable for advanced traders who understand financial markets. Kraken – allows you to purchase bitcoin with a bank account in many countries. Suitable for advanced traders who understand financial markets. Genesis Trading – allows you to purchase bitcoin with a bank account in the US. This service is most useful if you want to buy large blocks of bitcoin ($25,000+) OTC. If you do business with them, tell them John Light sent you. 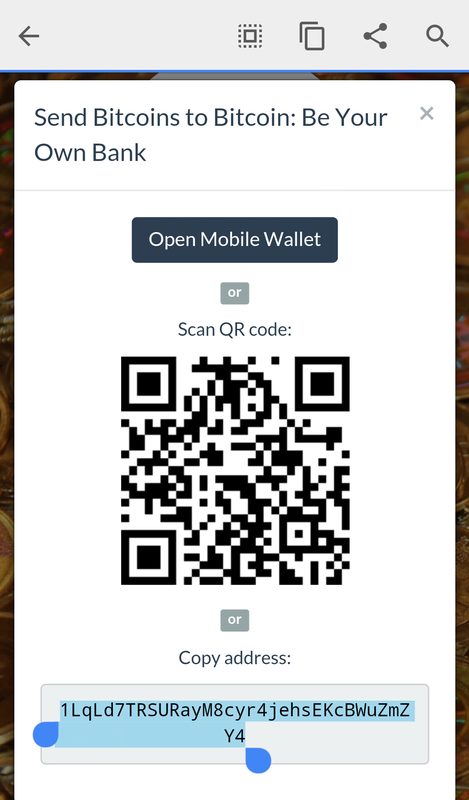 LocalBitcoins – allows you to purchase bitcoin with a variety of payment methods, including cash or bank transfer, from traders in their marketplace. The quality of each transaction varies depending on the trader you choose to buy from. Mycelium LocalTrader – allows you to purchase bitcoin with cash from local traders in their marketplace. The quality of each transaction varies depending on the trader you choose to buy from. CoinATMRadar – this website will help you find a Bitcoin ATM near you where you can buy bitcoin with cash. Bitcoin ATMs often add a steep markup but offer the convenience of being able to buy your bitcoin same day, on the spot. First Edition of Bitcoin: Be Your Own Bank is now on sale! After a public review period of the first draft, I am excited to announce today that the official First Edition eBook version of Bitcoin: Be Your Own Bank is now for sale on Gitbook. Everyone who pre-ordered the book will have already received PDF and epub copies of the book in their inbox by the time this post is published. If you weren’t one of the people who pre-ordered the book, you can pick up your own copy for $9 by visiting Gitbook. You can also click here to pay with bitcoin, and your copy of the ebook will be delivered to the provided email address within 24 hours. I am also working on making hardcover copies and additional distribution channels available as well – subscribe through the email signup form on the sidebar of this website to be alerted when this happens. Many thanks to everyone who was involved in the drafting and publishing of this First Edition of Bitcoin: Be Your Own Bank, your help has been invaluable and most appreciated! 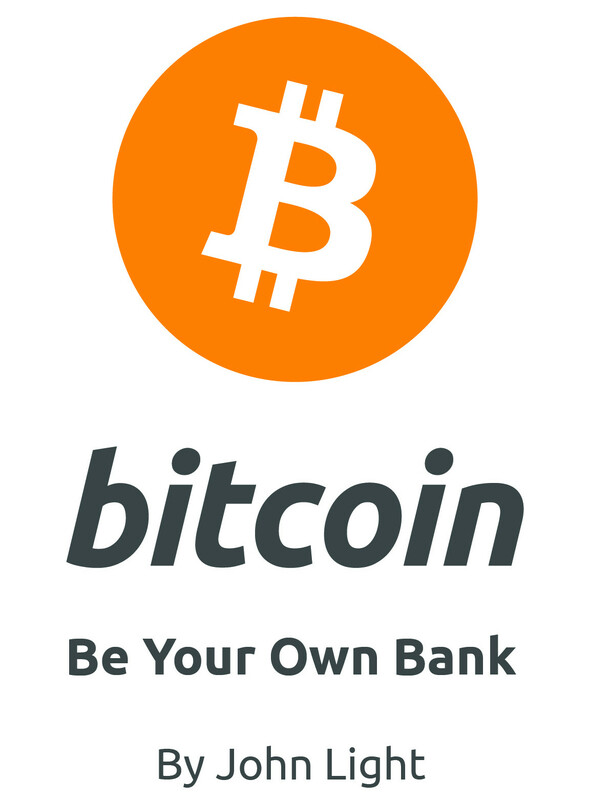 Posted on May 29, 2015 Categories Bitcoin: Be Your Own BankTags Be Your Own Bank, bitcoin, Bitcoin: Be Your Own Bank, blockchain, book, ebookLeave a comment on First Edition of Bitcoin: Be Your Own Bank is now on sale! The First Edition release of Bitcoin: Be Your Own Bank is just around the corner. Today, the final revisions were pushed to Github for public review and comment. By the end of the month, the book should be ready for both print and digital distribution. It’s been a long time coming, but it’s finally done: this First Edition version will contain the most up-to-date information about the many ways you can use bitcoin to be your own bank. I will continue to update the book as needed on a rolling basis, but this First Edition will mark the first major release. New title – based on a recommendation by Harlan T. Wood, the title has been changed from BYOB: Using Bitcoin to Be Your Own Bank to the less wordy and more straightforward Bitcoin: Be Your Own Bank. Thanks to Harlan for his suggestions and help getting started with Github. New cover – with the new title comes a new cover, designed once again by Rob Mitchell of Paperclip Robot. This cover reflects the move towards more straightforward branding and minimalist aesthetics. Two new chapters – chapters featuring information about the blockchain and colored coins have been added to the book. The blockchain is the most important piece of the bitcoin puzzle, and full nodes are needed to help build, store, and distribute it. Learn more about the blockchain in Chapter 1. Colored coins provide a way to represent non-bitcoin assets on the blockchain, assets such as property titles, shares in a company, votes in an organization, identities, and more. Learn more about Colored Coins in Chapter 6. Updated chapter titles – some chapter titles have been updated to more accurately reflect the content of each chapter. More pictures – who doesn’t like pictures? I hope you’re as excited about this release as I am! Head on over to the BYOB Github repo if you want to read the First Edition draft before it’s released in print and digital format; just click one of the chapters in the file list to start reading. I welcome you to share your comments or questions by creating an issue on Github or by sending me a message through my website. After the first time I heard about bitcoin, it took me almost a year of learning about the underlying technology before I bought my first coins. Part of the reason for the delay was because I wanted to first understand bitcoin, but after grokking the concept of “decentralized digital currency,” the main hurdle was availability. The options for purchasing bitcoins were slim at the time, limited to wiring money to online exchanges in foreign countries or sending concealed cash in an envelope to “OTC” traders and hoping that bitcoins were received in return (I didn’t choose either of these options). After I managed to purchase my first bitcoins, I then had to figure out how to secure them. Luckily, a programmer from my area had developed a cool piece of software called Bitcoin Armory that was specifically geared towards the security-minded, and it made securing bitcoins relatively easy using advanced techniques like cold storage signing and Shamir’s Secret Sharing. 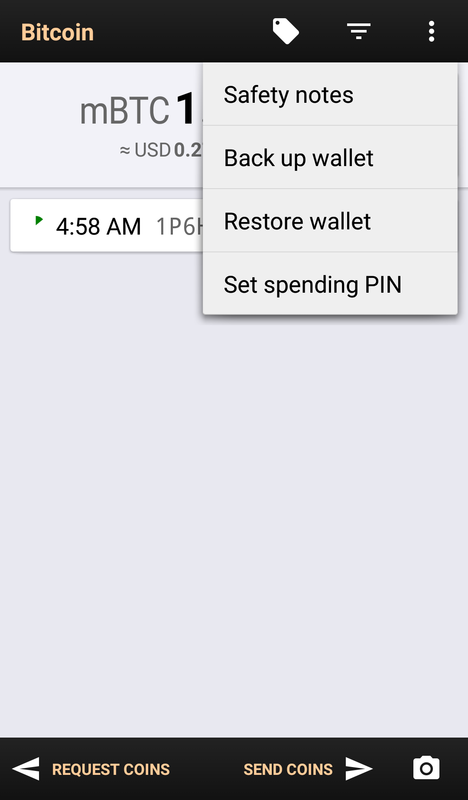 Learning how to keep my bitcoins secure took practice, but I eventually developed an efficient workflow that made it easy to move coins between cold storage and hot wallets. Once I felt comfortable using bitcoin, I started to spread the word and tell others about this exciting technology. But there was a problem: every new person I told about bitcoin had to start from scratch, and I didn’t yet know of an effective way to boil down the bitcoin story into an easily digestible elevator pitch, let alone teaching someone how to use it securely. When I would tell someone that it’s p2p money, I had to first explain what p2p meant and then explain why they would want to use bitcoin instead of the money they were already using. The “why” for bitcoin can be more difficult to explain than the “what” or the “how,” and I would often end up just sharing a bunch of links that were probably never read. But the more I practiced the pitch, and the more diverse my audience became, the better I got at explaining the “what,” “how,” and “why” of bitcoin. I eventually felt comfortable and knowledgeable enough to share my excitement with the world, and started a website where people could contact me to learn about bitcoin one-on-one. This started a journey into the bitcoin investing and startup world, and ultimately brought me to where I am today. After almost two years of consulting for bitcoin investors, startups, merchants, and casual users alike, I have decided to take everything I’ve learned and taught and distill it down into an online course and companion e-book entitled “BYOB: Using Bitcoin to Be Your Own Bank.” In the course, I will be sharing a brief overview of the history and technology behind bitcoin and then dive right in to the practical ways that people can use bitcoin, including how to buy, sell, send, receive, and store bitcoins without relying on centralized services to store private keys. If this sounds like a great way to help increase bitcoin adoption, please consider contributing to the crowdfunding campaign at the $1, $15, or $25 level (or choose your own amount). You can also help by sharing the campaign page and video via email and social media with those who might be interested. I am starting to reach out to people who can help with the cover design and formatting of the e-book, if you’re interested in being hired to do this, please get in touch!